Tierra del Fuego, end of the 19th century. A vast and desolate land only frequented by gold diggers, English missionaries, Chilean and Argentinean military, and, of course, the age-old Ona, Alacaluf, and Yaghan tribes. 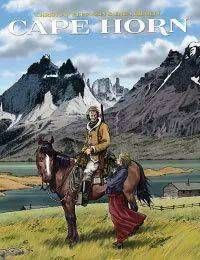 It is in this unique world, where the last of the Andean mountains plunge into the Pacific Ocean, that several characters with tormented destinies will cross paths on their journey to Cape Horn.